What measures 34 inches wide and 34 inches tall, yet appears bigger than life? A bust of Gordon Lightfoot. It also weighs 260 pounds – without the pedestal that will add another 3,000 pounds once it is installed in front of the Opera House. Monday night council committee agreed to fund the installation and pedestal with $15,000 from an Opera House reserve fund. Lightfoot is covering the cost of the bust and transportation of it from the Hamilton studio it was created in to here. “First I had to make sure they wanted it. We had the possibility of having it installed it at Massey Hall as well, but I prefer to have it on display up in Orillia,” said Lightfoot. 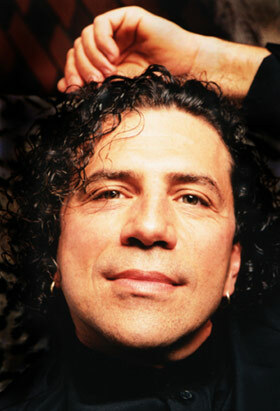 Renowned sculptor Gino Cavicchioli created it in 2007. “I’ve always loved Gordon Lightfoot’s music. Most of my work is commission but I normally do a few pieces of what I call self-inspired or self driven, something I desire to do. That particular year I did Gordon Lightfoot,” said Cavicchioli. The bust was first seen in public Sept. 6, 2009. That was at a benefit for the Abruzzo Earthquake Fund for victims of the L’Aquila, Italy disaster. Lightfoot attended and sang a song, signed autographs, and most importantly, did not forget about the sculpture. The resin casting, which looks like bronze but weighs considerably less, sat in Cavicchioli’s studio until last fall when Lightfoot decided it needed a better home. “I decided I’d get installed in Orillia, I thought I might get it in the auditorium, but that didn’t work out too well,” said Lightfoot. A suitable spot indoors that would not be more hindrance than useful couldn’t be found. The interesting thing about sculptures is that more than one piece can be made of the same clay model, if it has to go outside there really is no problem. “I’m donating it. We found a spot for it to the left of the main entrance to the Opera House in a tasteful location,” said Lightfoot. Once Cavicchioli decided to make the sculpture portrait, the trick was getting Lightfoot to agree to sit for it. Cavicchioli was surprised Lightfoot agreed. 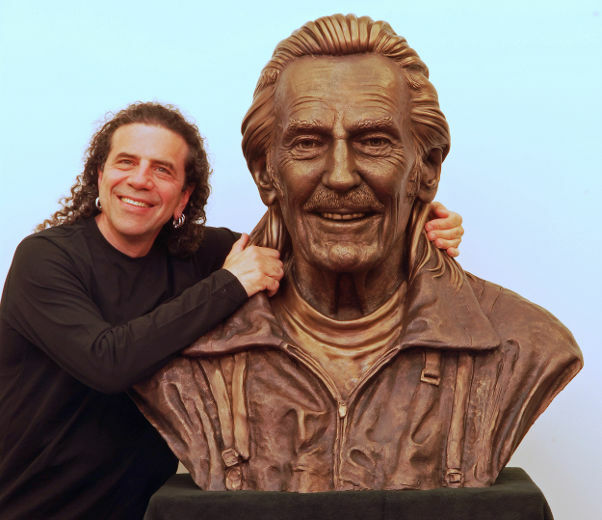 In the first instance, the real deciding factor was not unlike Tim Schmaltz’s when creating Golden Leaves, the sculpture of Lightfoot in Tudhope Park, a life-long love of Lightfoot’s music. “He’s truly a legend and we are lucky to have him in this country,” said Cavicchioli. The exact date of unveiling has not been determined. “It’s going to be unveiled sometime in the fall, and I’m going to do a show because I haven’t done a show there for some time,” said Lightfoot. It will not be during Lightfoot Days. The unveiling will take place in the fall near a certain annual event we all have. “It will be around that time. I think they have a production in there on the weekend of my birthday when I thought we might do it, but we’re thinking of moving it ahead to the 24th,” said Lightfoot.